Wednesday, April 9, 7:30 p.m. The Medici Boy Based on years of personal research on location in Florence, Italy, the worlds of art, politics and passion collide in John L’Heureux’s new novel, The Medici Boy. With his distinct style, L’Heureux ingeniously transports the reader to Donatello’s Renaissance Italy—directly into his bottega, (workshop), as witnessed through the eyes of Luca Mattei, a devoted assistant. While creating his famous bronze of David and Goliath, Donatello’s passion for his enormously beautiful model and part time rent boy, Agnolo, ignites a dangerous jealousy that ultimately leads to murder. Luca, the complex and conflicted assistant, will sacrifice all to save Donatello, even his master’s friend—the great patron of art, Cosimo de’ Medici. John L’Heureux’s long-awaited hardcover delivers both a monumental and intimate narrative of the creative genius, Donatello, at the height of his powers. With incisive detail, L’Heureux artfully renders the master sculptor’s forbidden homosexual passions, and the artistry that enthralled the powerful and highly competitve Medici and Albizzi families. The finished work is a sumptuously detailed narrative that entertains while it delves deeply into both the sacred and the profane within one of the Italian Renaissance’s most consequential cities, fifteenth century Florence. Award-winning poet, novelist, and short story writer, John L’Heureux has taught at Georgetown University, Tufts, Harvard, and (for more than 35 years) in the English Department of Stanford University where he was Lane Professor of Humanities. There he received the Dean’s Award for Excellence in Teaching and earned it again in 1998. 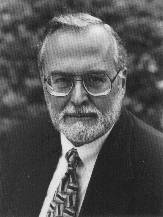 John L'Heureux is currently considered a "single author." If one or more works are by a distinct, homonymous authors, go ahead and split the author. John L'Heureux is composed of 2 names. You can examine and separate out names.